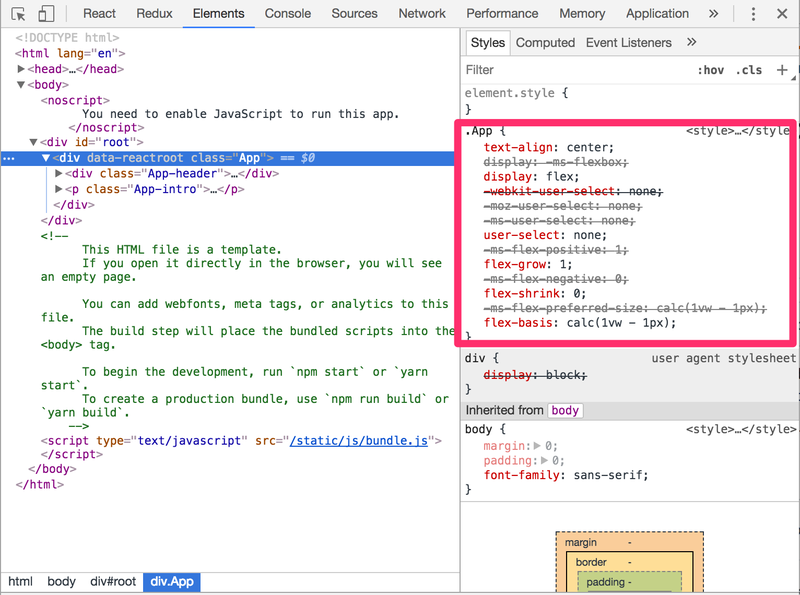 Steps ran to check if postcss-loader and its plugins still work. 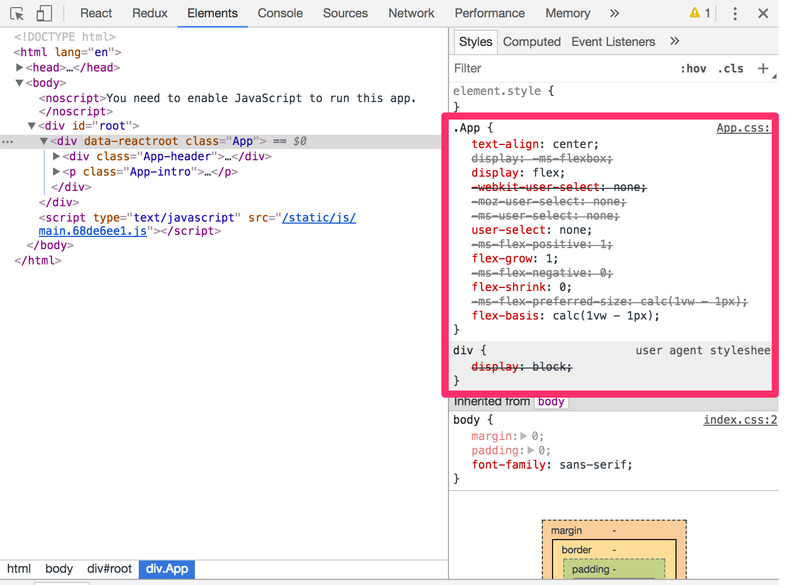 Check chrome dev tools and select element too see if postcss-flexbugs-fixes & autoprefixer work. See screenshot. Ah. Sorry about that @gaearon . No worries! I'd appreciate if you could dig into why this is still necessary and breaks in this weird way. Maybe there's a bug in one of those packages?